Sony has officially announced that it will start its Android 4.0 upgrade for the 2011 line of Xperia smartphones today. Initially, this update is for Xperia arc S, Xperia neo V, and Xperia ray owners located in Sweden, Denmark, Iceland, Finland, and Norway. The software rollout will expand to other global markets over the next 4 to 6 weeks. The Ice Cream Sandwich update is not being conducted over the air, therefore, you will need to tether your device to a Mac or PC. Those with eligible handsets can head on over to http://www.sonymobile.com/update and follow the instructions to perform the upgrade. Sony also said that Xperia arc, Xperia PLAY, Xperia neo, Xperia mini, Xperia mini pro, Xperia active, and Sony Ericsson Live with Walkman owners can expect their ICS upgrades to commence at the end of May or early June. They are gonna upgrade the Arc!! that will be by next month!! Ideally, anyone would expect an FIFO update process. This LIFO schedule just doesn't make any sense to me. I understand there is resource limitation, but it'll always be there! I'm surprised to see they're leaving out the Xperia S in the first roll out. Is this how they treat a flagship device? No, Sony is treating its older flagships properly unlike what Samsung has done with the original Galaxy S.
lesson no 1 for samsuck..
That's great! 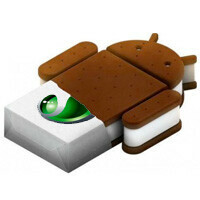 Sony is the first to release ICS update to their older phones. Great to see them support older devices while others don't. Others like HTC may have launched new ICS phones but they and the others like LG, Samsung, etc. choose to conveniently forget their older phones.